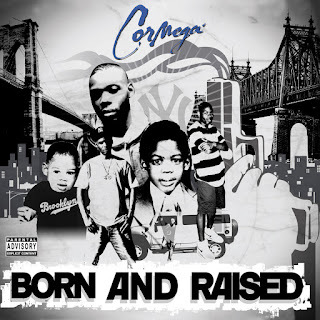 Queensbridge legend Cormega returns with a new album this October, Born and Raised. The album is set to drop on October the 20th and deserves a place in any self respecting real hip hop fan's collection. With production from Large Pro, Nottz, Havoc and two tracks from DJ Premier you know the beats will be dope. The album also features guest appearances from KRS ONE, Big Daddy Kane, PMD and Grand Puba on the track "Mega Fresh X" which has Red Alert on the cuts. Check the link below for one of the Premier tracks, "Make it clear"
I have crossed paths with your blog before and really appreciate the music/content associated with it. I have recently compiled and mixed a new instrumental mixtape with my partner DJ Matt Cali. We represent CA and NY and want to share our music with the blogosphere, which is why I am contacting you. If you wish, please give us a shout on your blog and feel free to post the following link for your traffic to download. It would be great. Let me know. Keep the music alive! "This Dj concerto, in four parts, takes you on a journey into sound denoting the best part of hip hop, the soul of the music. "The Little Green Tape" is perfect to vibe out to. Repeat is a must."